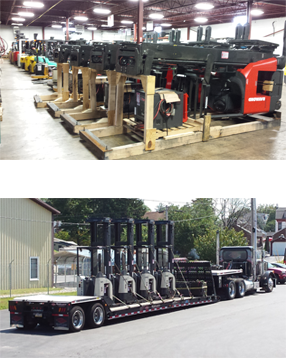 Mid Atlantic is your one-stop shop for new and used forklifts and other material handling equipment. If you don’t see the new and used forklifts or specific material handling equipment that you need, just give us a call. We will get it! Our robust inventory of new and used forklifts along with our industry resources allow us to taylor material handling solutions to each customer’s unique application. Contact us to discuss your equipment needs and we’ll make sure that you get the information you need to make the best choice for your business. Check Out Some of Our New & Pre-owned Inventory Below! We Have Several Hundred Lease Returns & Rental Units Too! Qualify for $1 out financing for shorter terms.